Wake up to an Irish breakfast! Irish breakfast is hearty and some may say very heavy. European cuisine differs much from that of American cuisine. While we Americans may have some of the very same items on our plate, still most Americans fail to eat this hearty daily as the Irish do. Unfortunately, often times, Americans just “grab” something on the run instead of sitting down and eating a proper breakfast. So to what do I refer to as a hearty Irish breakfast? In fact, an Irish morning also resembles some very similar morning fare, with slight alterations, in other countries like England, Scotland, and Wales. This menu is known by another name in Ireland, a “proper fry-up”! I should say! Rounding out that hearty breakfast, the beverage needs to be full-bodied as well. That calls for Irish breakfast tea. And just like the beers of this land, the tea is also somewhat malty. Tea in Ireland is a blend of several black teas. Some may contain heavily Assam tea (India), while still others are based in Ceylon teas (Sri Lanka). All are blends and mixtures of black teas including blends of Darjeeling, Kenyan and China black teas. When Irish tea is brewed it produces a very dark red to brown color. It can become quite tannic (bitter and sharp on the tongue) if over brewed. But Irish breakfast tea flavor should be intense and have malt undertones. In Ireland breakfast tea is only known as tea, and not by any other name. The Irish breakfast tea is so strong; most Irish drink their tea with milk or cream and at times with lemon and sugar, to even out the intense taste. Tea is engrained in the Irish society. Tea is just part of their way of life. 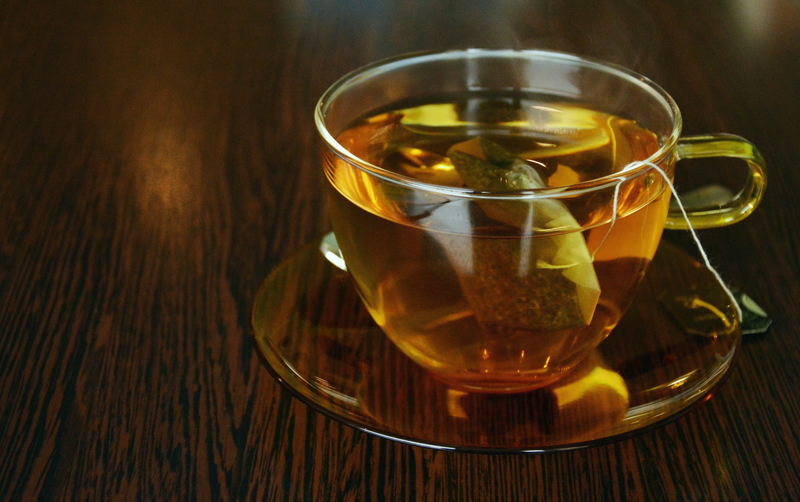 While some Irish may enjoy loose teas, the majority of Irish use tea bags due to their convenience. Some will argue that the quality of tea is diminished because some brands may skim and use fillers in their tea. No matter what product the Irish use, the intense breakfast tea will be drunk long into the afternoon. And now a blessing from your tea editor: May your tea cup always be as full as your tummy!